Enjoy your free time using our dependable cleaners in Melbourne. For all of your cleaning needs, call on Allsafe Cleaning Melbourne. Our cleaning services are of the highest standards, and we offer the highest degree of customer satisfaction for the lowest prices in Melbourne. You can see the full listing of our services on our pricing page. Our professional house cleaners in Melbourne have been earning the trust of homeowners and property holders for many years and we know what it takes to get the job done right, the first time. You can reach us 24/7 by calling on (03) 9021 6889. Our staff will provide free estimates, schedule service or help you craft a combination of services that will save you the most money on your next cleaning job. For all of your after builders cleaning needs, call the experts at Allsafe Cleaning Melbourne. Allow our licensed, vetted staff remove all of your post renovation rubbish. There is no task too small or large. Call us now!Read more about our After Builders Cleaning in Melbourne. 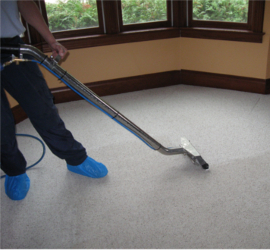 For the most affordable carpet cleaning services in Melbourne, call on Allsafe Cleaning Melbourne. They have the years of experience and expert staff to handle all of your carpet cleaning needs.Read more about our Carpet Cleaning Services in Melbourne. Our professionals can provide all of your cleaning services in Melbourne. From light domestic cleaning to deep house cleaning, we offer a range of services that are perfect for maintaining a clean and happy household.Read more about our Cleaning Services in Melbourne. The professionals at Allsafe Cleaning Melbourne have had years of experience, getting down deep to break loose dirt and grime in all environments, both domestic and commercial.Read more about our Deep Cleaning Services in Melbourne. Good domestic help is hard to find. At Allsafe Cleaning Melbourne, we have the most trustworthy Domestic Cleaning Services in all of Melbourne. Our low prices are just an added bonus!Read more about our Domestic Cleaning Services in Melbourne. Don’t break your back during your end of lease cleaning. Call Allsafe Cleaning Melbourne and we’ll do all the heavy lifting! Our end of lease cleaning services are some of the most thorough in Melbourne.Read more about our End of Lease Cleaning in Melbourne. While having gained our spotless reputation with flawless cleaning services, very few know that Allsafe Cleaning Melbourne is also a provider of the most affordable Gardening Services in Melbourne!Read more about our Gardening Services in Melbourne. Our professional home cleaners are some of the best well-trained staff. We guarantee your satisfaction on every single job we perform, and we are confident that once we work together, you’ll become a customer for life.Read more about our Home Cleaning Services in Melbourne. House cleaning Services are a lot more involved than simply wiping down counter-tops and dusting surfaces, House cleaning is about understanding the needs of the client (you) and getting your entire house clean from top to bottom.Read more about our House Cleaning Services in Melbourne. You’ll only need the services specific to post renovation cleaning, after the renovations are done.The scope of our treatment is entirely up to you.We are certain that we have a winning combination for you!Read more about our One Off Cleaning Services in Melbourne. The experts at Allsafe Cleaning Melbourne are the most professional cleaners.Our many years of experience efficiently addressing our clients’ needs has earned us the solid reputation for professional cleaning service that we enjoy today.Read more about our Professional Cleaning in Melbourne. Whether your upholstery needs a light dusting and wiping or a more comprehensive cleaning, our upholstery cleaners will know exactly what to do to restore your furniture to like-new condition, often in a single visit!Read more about our Upholstery Cleaning Services in Melbourne. 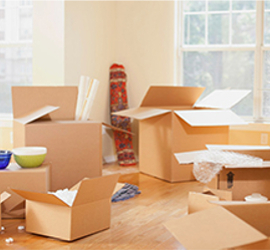 Cleaning Services Melbourne is a locally based cleaning service company. We have operated in this dynamic market sector for a number of years now which has given us the necessary experience and knowledge to perform exceptionally well on any job. 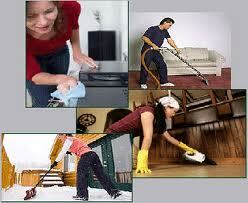 Cleaning Services Melbourne specializes in all types of domestic cleaning. We can perform steam and deep cleaning of carpets, curtains, sofas or other fine fabrics and materials where the use of specialized cleaning systems is required. The company also offers a wide range of quality one-off cleaning services, as well as end of lease cleaning. For a complete top to bottom domestic service, customers can take advantage of our affordable gardening service which delivers great results with no additional fuss. In order to provide the best service around we employ professional, fully qualified cleaners with extensive industry experience. We train our staff on and off the job so you have the latest and most efficient expertise at your disposal. All our staff is vetted and have undergone the necessary law enforcement background checks. They are courteous, neat and well mannered. They take their job very seriously and it shows in the level of service we deliver. 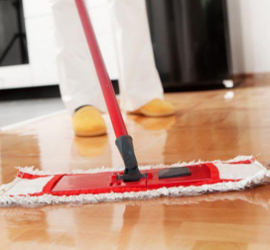 Cleaning Services Melbourne is an eco-friendly, green cleaning company. We use only non-toxic, non-harmful detergents and materials as customer health and safety is of utmost importance to us, we implement a strict policy of minimum water wastage which is great news for both customers and the environment. Our technicians come fully prepared for the given job, we have all the necessary equipment and materials. We understand that customers need their service done quickly and efficiently, therefore we send out a team of cleaners, where one won’t do, fully equipped and ready to do a great job. Cleaning Services Melbourne is fully licensed to perform all types of professional domestic cleaning services, the company has all the required trade insurance for customer peace of mind. All our work is done in strict accordance to all health and safety regulations imposed by the relevant authorities.